Treats up to 35 litres water per minute. No maintenance costs and electricity costs of approx £4 per year (at current rates). 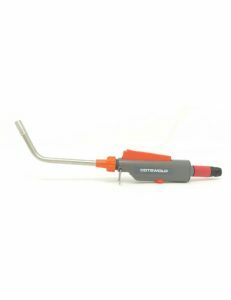 Easy to install, simply screw unit to wall, wind the aerial wires round the pipe, as per the instructions and plug in to a 13 amp socket. Suitable for all types of water pipe, except lead. More powerful unit will treat up to 250 litres water per minute. 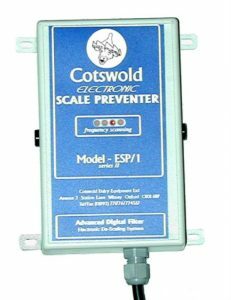 This is a powerful “full system” scale reducer for entire houses (heating and domestic hot water) and entire dairies where multiple units need to be protected. 2 independent pairs of aerials attach to 2 independent water circuits (or ‘doubled up” on a single pipe). Variable control to alter the frequency/intensity of the scan. No maintenance, around £5 per year electricity costs. Simple installation, wind the two/four aerials around the water feed pipe switch on, and ready to go. Fit to all types of water pipe except lead. 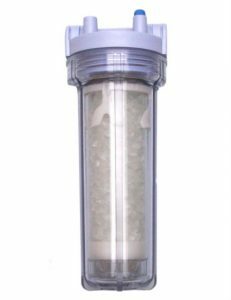 Polyphosphate salts suspend lime scale in water reducing precipitation on to elements and equipment. Comes complete with first charge of polyphosphate crystals. 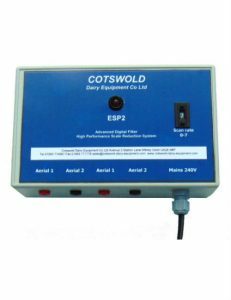 Replacement cartridges are available from Cotswold and will normally need to be changed every 6 to 12 months. 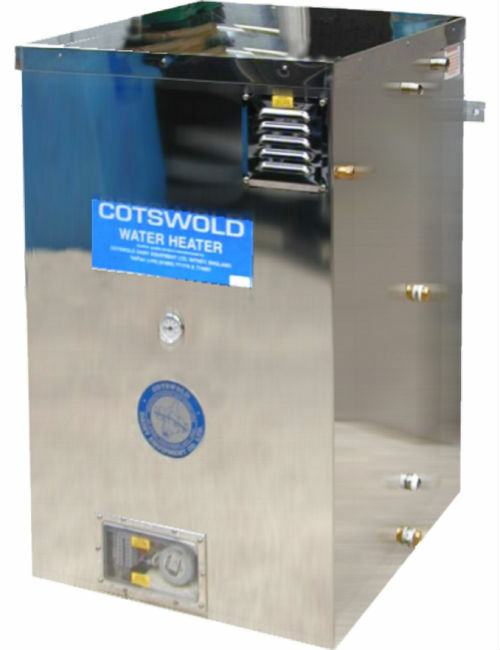 These products are a cost effective way of reducing the detrimental effects of lime scale on dairy water heaters and equipment, however in certain cases of permanent water hardness, found in some bore hole supplies, a proprietary salt water softening system may be the only answer. Simple filter with robust nylon housing and stainless steel filter screen. Effective activated-carbon filter can be used alone or in tandem with other filters (connector available). This device is particularly useful where borehole water is in use and farm run-off may lead to waterborne bugs/bacteria and other noxious substances entering the supply. 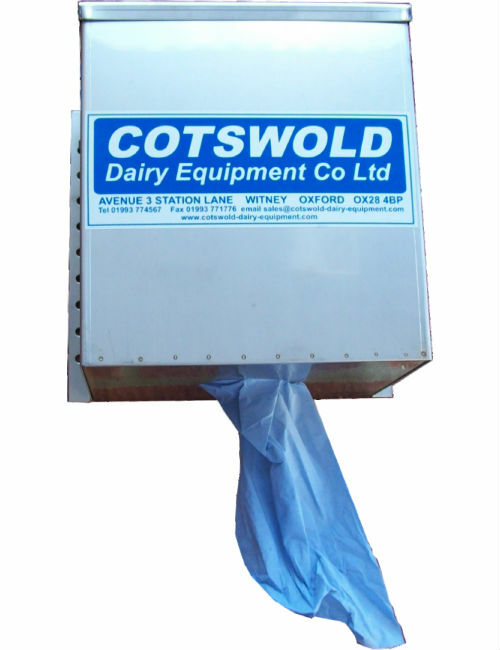 Complete with plastic spanner (to open unit) and first filter cartridge replaceable cartridge available from Cotswold.